Drink Moderately... These are some precautions we often find with the advertisements of alcoholic beverages. Sometimes we under estimate our body. We worked so hard and never think that our body will soon give up. You won't get anything good from overworked. The only thing that you can get in overworked is over-fatigued. It will make more harm than good. Most people who worked hard the whole day will resort to drinking too much beer or alcoholic beverages to get some refreshing breaks for the whole night. Some were not contented with drinking only, they will eat too much fatty foods while drinking. Why I tackle this topic now! I happen to see it just recently and I couldn't keep it as just a simple story. I would like to share with you an event that happen in our project site on the very first day of January, one of my worker suffered a heart attack, he was rushed to the emergency room in the nearest hospital by our safety manager. When I got to the hospital and checked his condition, the attending physician then informed me that if the treatment to the patient has been delayed by one hour he won't been able to survived. According to the patient when I got a short conversation with him, he was drinking all night on the eve of christmas and until eve of new year together with his co-workers. He said he was just relaxing from a whole day's hard work. In the third day, I came back to visit him again and found out that he has still hard time on breathing. 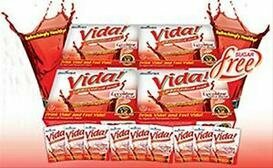 I shared with him the Vida Cardio Juice drink that I am drinking regularly, as it is good for the heart and it easily dilated the veins from the heart. Luckily I always have some packets on my bag and I have it everyday. After taking this juice in just two days he got better and he was released the next day. This experience become a great lesson for every one most especially the other workers in my project site. And the best part is that most of them asked for the product. When you are alone during an important day or celebration for a family to share and enjoy, you have no choice but just to let this day go and think of it as an ordinary day, like this new year. I'm all alone, thousand miles away from home and during this time I started to write this blog. Trying to go back on every year that came to pass, it's like going back in time and watching a movie of my life. And it was the year 1997 that takes much of my time on meditating.... ah 1997, the year that was. Lots of good things happened to me within this year and I imagine if I could start it all over again and restart on this dates. Who said... History does not repeat !! and make it special days. author any way you want, paint the picture and color it in any way you ever wanted. what you will bring to the New Year. I have come up with 4 thoughts I want to share with you that might help to get even better and make the year 2014 a New You. 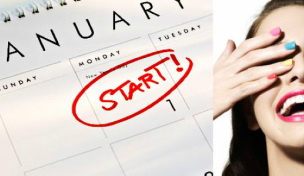 One problem with the majority of New Year’s resolutions is that they’re too ambitious. As much as you’d like to, you’re probably not going to get your milestone by the end of the year, and that’s okay. If you set daunting targets for yourself, you’ll just end up depressed when you don’t meet them. And it seems not so okay. Instead, focus on small, achievable changes. You’ll have a far better chance of succeeding, and they’ll soon add up to contribute to more major improvements. lifting a finger. Approaching every situation with a ‘glass half full’ mentality will go a long way towards improving your year, and it’s something absolutely everybody can do. Happiness and optimism aside, it’s even been proven that thinking positively can have tangible health benefits, including reductions in stress levels and improved cardiovascular health. No one is perfect, everyone had made mistakes and failures. You can't change the law of the universe, you will have to make mistakes, it's always there. They might be trivial, or they might be life changing, but either way you will make them. Accepting this fact will make your life a whole lot easier. Don't be cautious to make mistakes and failures but don't let it be the stumbling blocks for your success. getting worked up over things you do wrong, ask yourself how they could have been avoided, and what you will do to prevent them in the future. How do I reinvent myself to become a better person? out, and lives with Without? How do I become more patient, more wiser, more caring, more loving? How do I make a dent, make an impact, make a difference? How do I create my own New Self? Signature reading is an interesting study. It is supposed to reveal unknown characteristics of a personality. Signature analysts believe that while analyzing behavior of a person, signatures are more revealing than handwriting. While writing, several thoughts run amok in the mind and lead to variations in the handwriting. Signature, on the contrary, is not subject to such frequent variations. There is an occult science behind the study of signatures. Some signatures are very beautiful; but it is not necessary that the personality of such a person is attractive as well. It has been observed that sometimes a person having beautiful signatures is cruel and dangerous.Contrary to that, a person having an irregular signature could be very courageous and kind. Signature of Mahatma Gandhi falls into this category. A person with extraordinary brilliance normally writes the first letter of the sign in a bigger font. This signature makes him well established, influential and famous. The signature having first letter in bigger font and other letters as small, legible and beautiful represent a hard working person. He attains great heights by his hard work. It gives him good position in the society. Some people are not able to reach at the top even after putting best of their efforts; but this kind of people show that hard work pays. Such people are rich as well as intelligent. They shine their family’s name. Illegible and unclear sign, which are written in hurry, are not considered good. These people, like their signatures are unaware of their capabilities. They neither understand the meaning of life nor pay any attention towards it. They are very lazy and do work without showing any interest in it. Hence none of the work done by them is good. In fact no one likes to give them work. They are unauthentic people unsuccessful in family life too. Their married life is full of distrust and suspicion. Signatures of a diplomat fall into this category. It’s a well-known fact that diplomacy now-a-days implies deceit and treachery with certain rules. Such people’s life cannot be untouched by this behavior. A person having very small, illegible signatures with spaces between the letters are very cunning. They can cross any limits to attain their selfish motives. Such people enjoy politics because this area generally requires people with selfish attitude. Some persons are totally insensitive to human sentiments. Signatures of terrorists fall into this category. Generous and kind people sign with very light hand. The simple lines of their signature exude the simplicity of their heart. They do not press too hard while writing. This trait is displayed in their personality as well. People with artistic signatures are painters, artists, singers or authors. Those who put two horizontal lines beneath the signature are very hard working; but they are normally mentally weak and are worried constantly about their future. They are so depressed sometimes that they even attempt suicide. Those who write the first letter of the name followed by the surname and put dot or dots below the signature are very lucky. Such people take birth to reap the fruits of their previous birth. They are religious and soft spoken. They are very simple and sensitive. Hence they are very gullible. This is the only drawback in their personality. People who write their full name as the signature are very special. Drawing a line beneath the full name indicates their spirituality. They are full of zeal and they know how to use it best. They are very self-conscious. Whichever field they choose, they start innovating in that. Such people are far away from selfishness and egoism. They are very close to God. Signatures exude unseen thoughts and emotions. Specialists use certain techniques to analyze them. However by analyzing the letters alone it is difficult to judge the personality traits completely. One may need some more supplementary techniques for this purpose. Remember! Signatures do not create a personality. Personality is exuded through the signatures. It is possible to change one’s personality by adopting righteous attitude towards life and doing hard work towards self-refinement. Success in business and in life is up to YOU…Take a chance. Make it happen! If you’re ready to embark on an adventure that will change your life then contact me immediately. They can help you succeed professionally more than your academic or technical education. Ants are diligent and prudent: diligent by working hard without coercion, and prudent by saving part of all production. You need to learn these two basic rules for success to amount to anything in life. Isn’t it interesting in life when you keep experiencing the same adversities or challenges over and over again? It’s kind of like a bad deja vu that will not go away! I had the benefit of masterminding with some of my colleagues today about this very topic. Over the last couple of years I have been challenged by a personality type that would keep appearing in different forms, through different people in my life. It was truly bizarre. It was the strong, domineering female figure that kept showing up for me. In her presence (regardless of who it was), I would crumble or slouch away in the corner to avoid either confrontation and saying my truth. I was wondering why I was continually being thrown into these unique situations where I would have to deal with these types of personalities over and over again. I become very self-conscious around these women, to the point where I would simply conform to their ideals or behavior just to avoid confrontation. Then, it hit me! I HADN’T LEARNED THE LESSON YET! 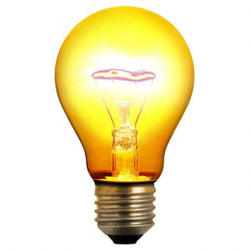 Talk about a light bulb moment. The reason this personality type kept showing up for me was because I hadn’t learned the necessary tools to effectively handle myself in that situation. The Universe can be a tough teacher. I would not be free of this personality until I learned the lesson. So….I DID. I learned to speak my truth regardless of whether or not it would align with their beliefs and ideas. I learned to stand my ground and be proud of my accomplishments and traits that differed from them. I became aware of the way I was receiving their (what I thought was) criticism, and began to receive with love and gratitude for what it was truly teaching me. It is so interesting because I don’t think that I actually stopped encountering the personality type, but it appeared that way because I had learned the lesson. I had learned to accept the personality type and find a way to co-exist while at the same time not compromising my beliefs and my truth. They are still in my life, but my perception has completely been altered. “The Dirty Truth About Network Marketing That you Must Know and Understand. Here it is: On the surface, network marketing companies appear to be thriving communities of consuming customers all happy with the product that they are consuming and they really are, but what drives that community of thriving consumers has absolutely nothing to do with the product itself. Let me ask you a question:Why did you decided to get started in a network marketing business? Am I right?Well let me ask you another question now. When you prospect and talk to leads about your business what do you talk to them about?Most likely you try to stick to the corporate script which inevitable ends up with your prospect asking you questions about your network marketing companies products or services.And by the end of the conversation you’ve lost control of the call and both you and your prospect end up confused (usually get somewhere between details about your companies product or service and the compensation plan). You get of the phone and hope that my some grace of god your prospect you paid $15 to confuse will decided to join your business. Likely story!Here’s why:Successful Network Marketing has NOTHING to do with selling your prospect on your product at ALL!. News, Training and Tips from individuals who shares their ideas freely to help other people to take THE BIG BREAK in their life.